JULIA MADER ist seit 2002 ausgebildete Konfektions-Schneiderin und studierte danach Fashion Design in Stuttgart. Sie startete ihre Karriere im Kreativ-Team ORANGE bei Hugo Boss. 2008 bis 2009 arbeitete sie als Stylistin für die Online-Shops von ESPRIT und Hugo BOSS. Seit 2010 lebt Julia als freiberufliche Stylistin in Hamburg und wird seit 2012 von OPTIXagency repräsentiert. JULIA MADER finished her apprenticeship as dressmaker in 2002 and spent the following two years studying Fashion Design in Stuttgart where she finished in 2004 with a degree as certified design manageress. Julia then started her career at Hugo BOSS in Metzingen where she worked for the creative team ORANGE until 2008. Deciding to move her career further she was hired as a Fashion Stylist working for the Online Shops of Esprit & Hugo BOSS in Hannover. 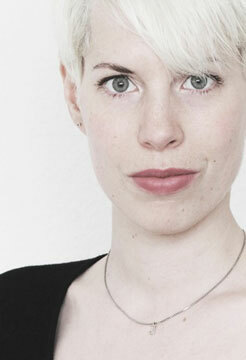 2010 she moved to Hamburg to work as freelance Stylist and 2012 she joined our Team at OPTIXangency.